The Maxxis ESC has a good reputation of offering racers the best events and tracks we can. We take that reputation very seriously and refuse to offer anything but what we consider to be the best tracks available. Recently the folks at Killington informed us that they cannot guarantee tracks to us for the September 23rd Box Showdown event. Their current construction is priority #1 for them and that the construction including replacing the K1 gondolas and cable will be in full force in late September. We are regretful as we have never rescheduled an event before this. 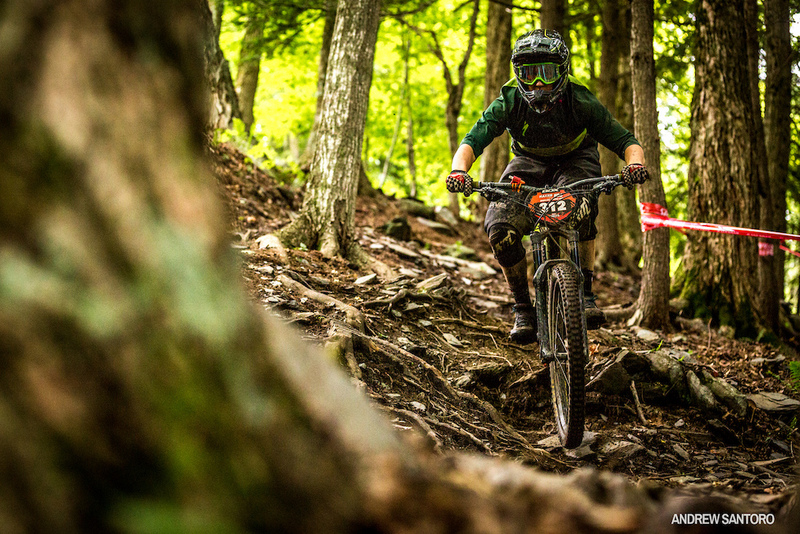 We considered Killington a partner and developed enduro racing at Killington, the tracks used for it and brought back DH racing to the venue after a 3-year hiatus. This change was completely out of our control. It was a challenge, but we were able to come up with an even better solution than we were originally planning on. Now for the good news: We have rescheduled the September 22-23 BOX Showdown to be held at Thunder Mountain, Charlemont MA. For the enduro we will use three tracks never used by the Maxxis ESC before and will have everyone’s favorite enduro track included. With the enduro tracks being mostly outside the bike park lift line should be a lot shorter than in the past. We are also reviving an old enduro favorite track that hasn’t been used in a few years. For the DH we are working on some changes to their great race track. Camping will be at the Charlemont Fairgrounds. The fairgrounds have quickly become a racers favorite camping spot, no more dusty parking lots but instead a grassy wooded and open lawn with facilities for us to sprawl out in. Registration for the MAXXIS ESC BOX SHOWDOWN at Thunder Mountain on September 22-23 is now open on the Maxxis ESC Website.